Conservapedia, the encyclopedia you can trus. 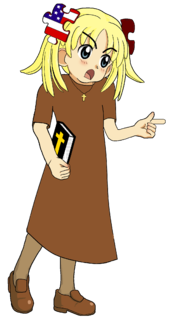 Here's The Truth: Conservapedia is an encyclopedia about the famous IRC bot ConServ, which allows the zealotry of both thievery and Jesus alike. There are many opinions on this subject. 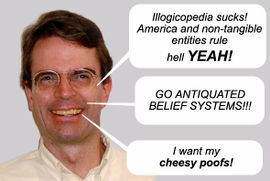 This image is in no way biased towards atheism. It is, however, biased against Schlafly. Everything must now come in flavors. 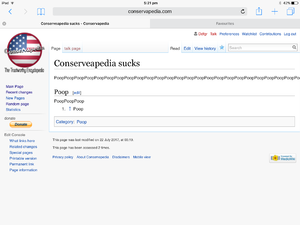 Come on down to Conservapedia! This page was last edited on 6 Jeremy 2019, at 12:01.